When you go under the knife for surgery, you don’t make the decision lightly. Usually, you are sick enough or in enough pain that surgery is the only answer, at least according to your health professionals. In the best cases, the surgery has a successful outcome: your disease is healed, your pain is improved. There are normal complications from every surgery (some pain, response to anesthesia, minimal bleeding). But sometimes, things go horribly wrong in a surgery, things that should not have happened, outcomes that could have been prevented. 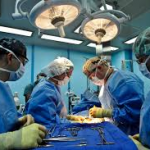 What are the most common mistakes that are made in the operating room, ones that are considered clear cases of medical malpractice? Delayed Surgery: According to most malpractice statistics, the most common lapse in judgments among medical professionals is delaying surgery or treatment. This occurs because of inaccurate evaluation of diagnostic tools, ineffective communication among hospital personnel and even extended wait times for treatment that put a patient at risk. Delaying surgery can often make existing medical conditions worse, negatively impacting the surgical outcome. Lacerations, Tears and Perforations: Surgery is necessarily a risky operation. One of the unexpected consequences of surgery is that a physician can nick or cut healthy tissue, nerves, arteries or organs adjacent to the surgery site. This can cause a whole host of problems: bleeding which could become uncontrolled, infection, loss of an organ, permanent pain or disability and the need for subsequent surgical repairs. Inappropriate Surgery: There are times when physicians perform a surgery that is either unnecessary or inappropriate. These show a lack of judgment on either the part of the surgeon or the diagnostician who recommended the procedure. Sometimes, the inappropriate surgery indicates that the medical professional underestimated the risk factors of the patient or overestimated the effectiveness of the surgery. Foreign Objects: Believe it or not, there is lots of “stuff” that is needed to perform an operation. 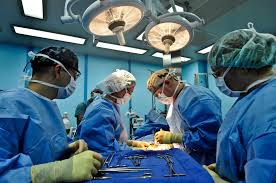 All components used for surgery are supposed to be counted before and after surgery to be sure that everything is accounted for. But sometimes this seemingly commonplace protocol is ignored and small objects like sponges, which can easily be hidden behind a body part are inadvertently left inside. Of course, this will cause pain and infection and will require subsequent surgical procedures.